When venturing into Torres Del Paine one of the first questions you’ll probably ask yourself is “hmmm I wonder what the weather will be like today?” However, the only one that will know the answer is Mother Nature. A typical day in Torres del Paine might have you experiencing snow, wind, rain and sunshine in any order and in any combination. Travellers have reported back that they’ve been on the W-Trek when it was 70 degrees fahrenheit and snowing! The snow accumulated at higher elevations and was still frozen by the time it hit them on the beach of Lago Nordensjold. Despite the unpredictability of the weather, it is hardly a deterrent for tourists from all over the world, who flock to the park during our peak season (December, January, February). In fact, this year we kicked off our “Winter W” program, and despite the cooler temps, the response has been overwhelming. 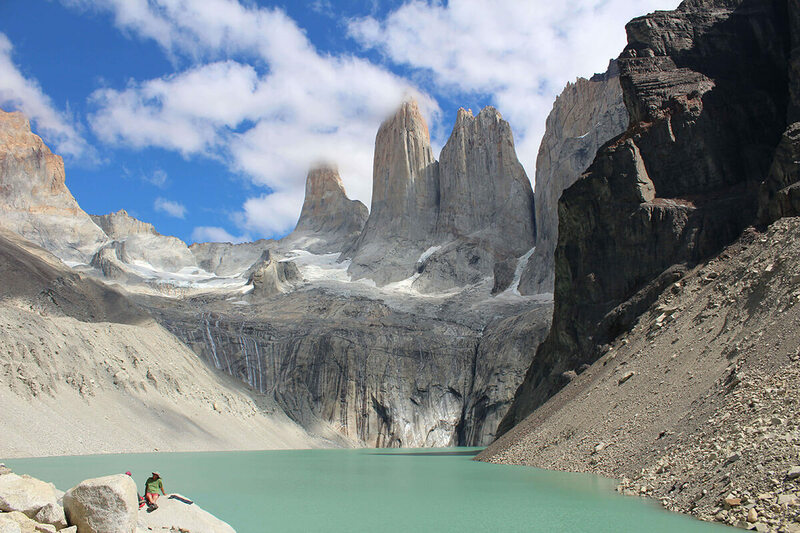 What Is The Climate Like In Torres Del Paine? It is characterized by an unstable trans-Andean climate, with strong winds especially in summer. The average day temperature in summer is 12°C (54°F), with a low of 0.8°C (33°F) and a high of 23.5°C (75°F). Don’t forget to come prepared with rain gear, as rainfall reaches 700 mm a year. In the Valley of Torres del Paine there is what’s called a trans-Andean climate, while in the heights, temperature decreases because of the effect of ice and snow. Without a doubt the best weather seasons in the park are spring and summer, when temperatures can reach a pleasant average maximum 23.5 ° C during the day. While in winter the temperature drops considerably, falling even below freezing. Word to the wise – always come prepared for the 4 seasons, because it is possible to experience all of them on the same day. 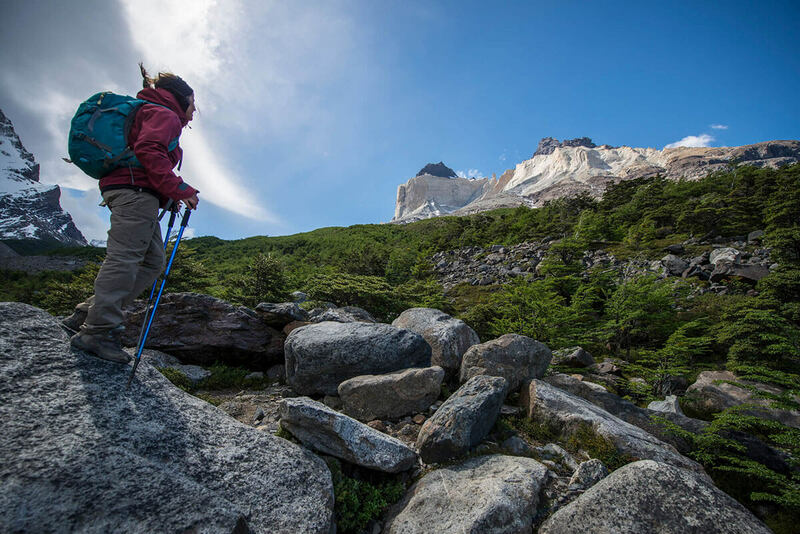 How Do You Conquer The Weather In Torres Del Paine? 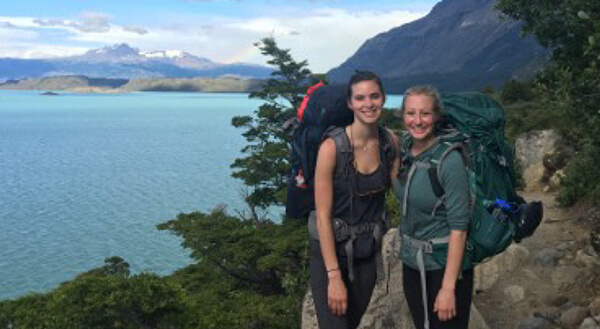 Even for experienced adventure travellers, packing for a Torres Del Paine trekking tour can feel a little daunting. 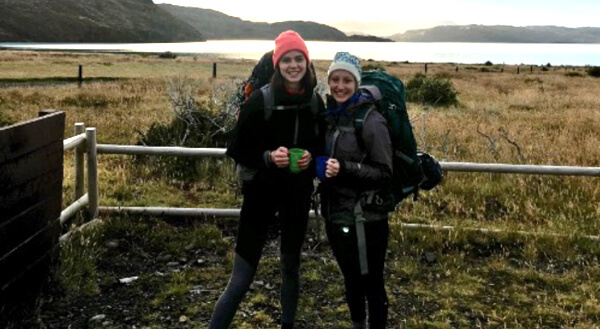 Our best advice would be to avoid your better instincts to over pack – instead, bring a few items of decent quality clothing which can be layered, is flexible and breathable. Stay tuned for The Ultimate Torres Del Paine Travel Guide – Part 3 where we provide an in depth guide on exactly what to pack for your trek.